I don’t know about you, but when the cool weather rolls in, I yearn for homemade treats. And when I’m wishing I was back in New York, taking pictures, I distract myself by baking. But not just any cookies. Oatmeal cookies. They can’t be too soft or too doughy or too hard. They must be thin and light and buttery and crispy and chewy. A tall order for sure. And I tried many a recipe until I found the perfect one. And if you’ve ever had the same problem, I will share it with you. You can whip up a batch in no time at all — and even feel somewhat smug that they contain whole grains and aren’t as unhealthy as many other cookies. 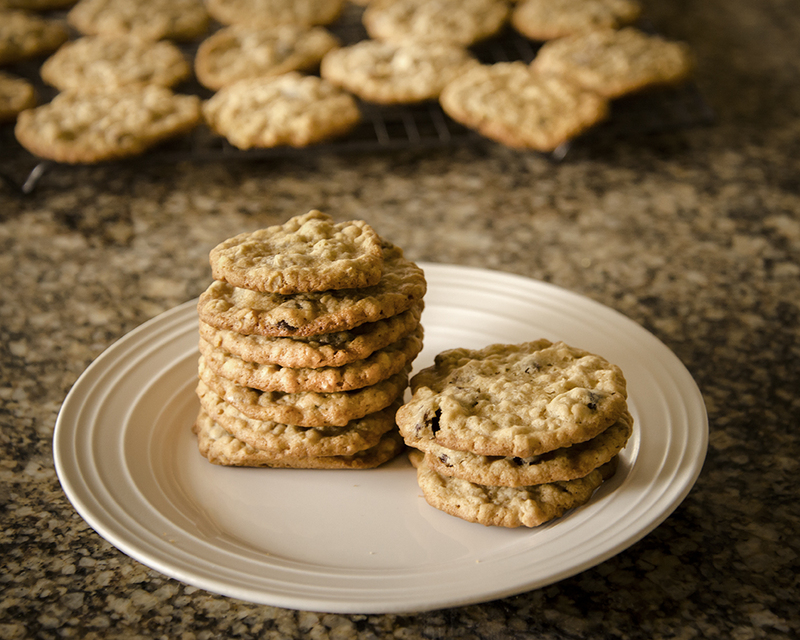 I also add a bit of ground flaxseed to the mix, which makes the cookies even more wholesome. And if you’re ever in need of distraction, give them a try. These truly do look scrumptious! These sure look yummy, Sherry. Thank you so much for sharing the recipe link here. They look delicious. Beautiful images Sherry. They look so delicious. I will send the recipe to Mallory she is my baker. Any cookie is my favorite when it is too soft and too doughy! 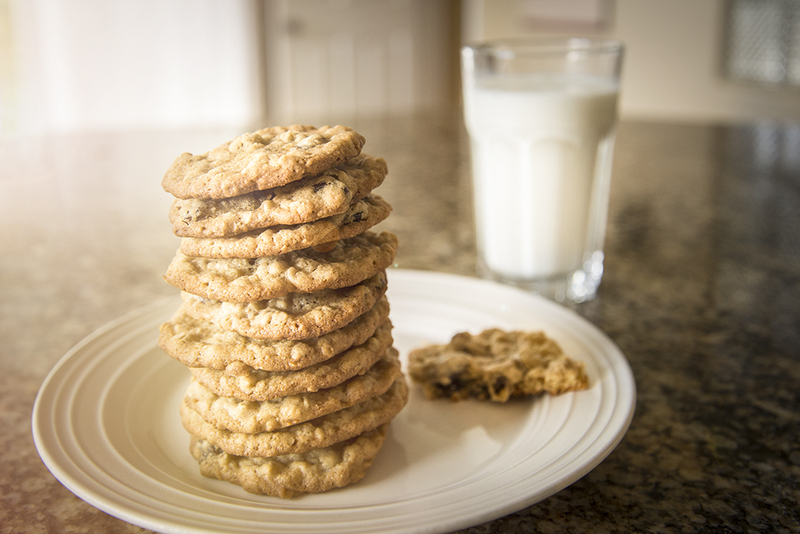 I under bake most cookies and bars, just to have the extra softness…they seem to be more flavorful to me. I love how you made a very tall stack of cookies! Yes, the weather is just right for a little kitchen time. Gorgeous images! I especially like the one with the glass of milk behind the cookies – and I LOVE the page header image (white flowers on top of plate). You had me with the title, my favorite cookie for sure. I love them anyway they are made, but I will surely try this recipe and thank you. Your images as always are wonderful and could be out of a magazine spread. Have a great week. These look absolutely scrumptious! Love oatmeal cookies, will definitely make these…maybe tomorrow! I’ve never tried them with spelt flour, but it should work. Let me know how they turn out when you make them Cheryl…. Oh my – your cookies look just perfect! I’m so glad you tried and loved these cookies! These disappear quickly in our house.